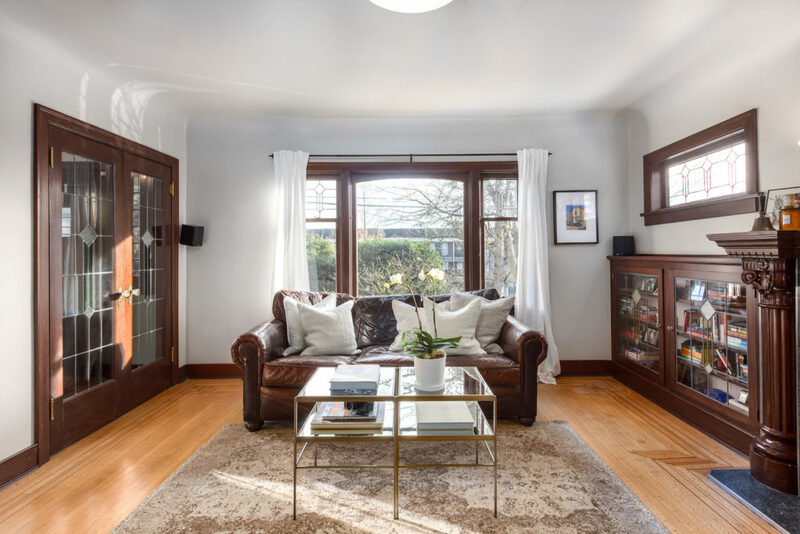 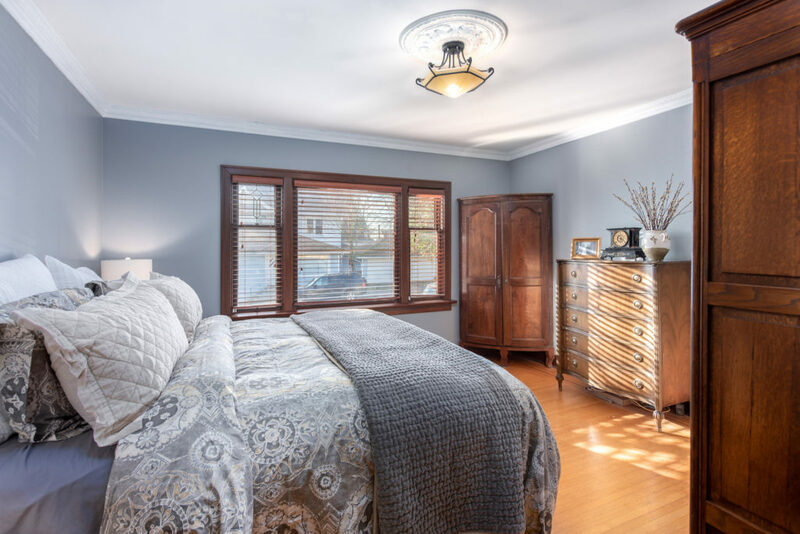 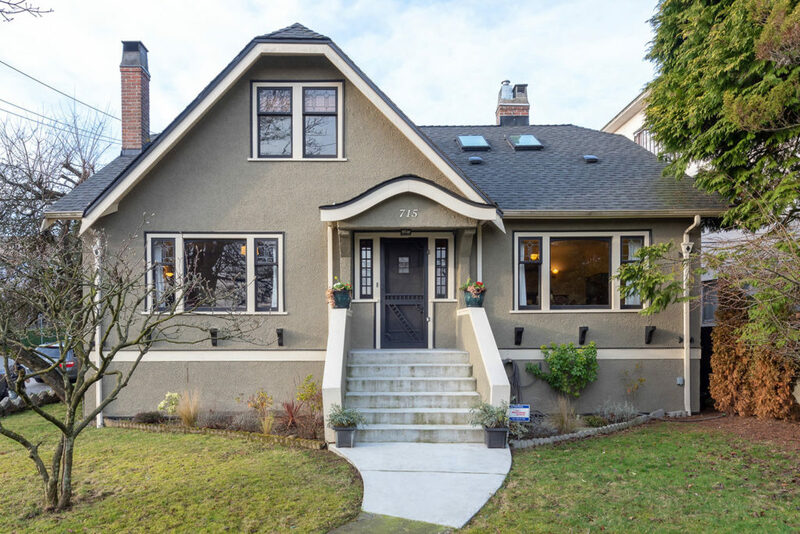 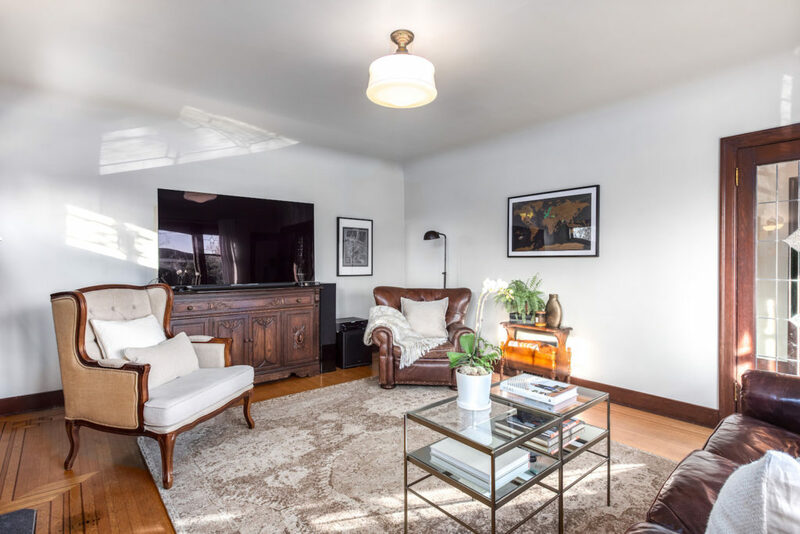 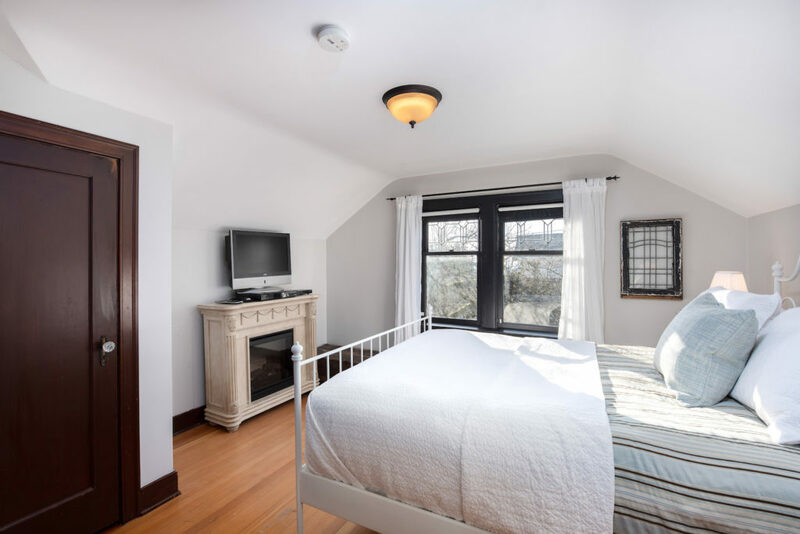 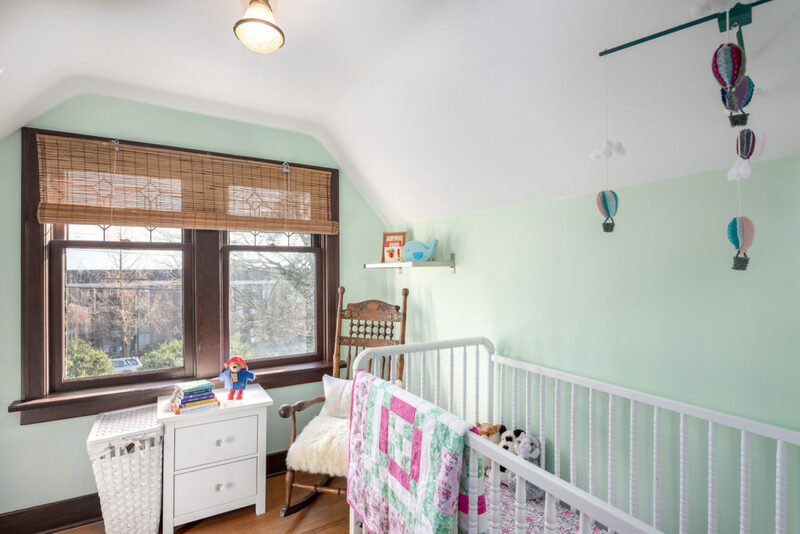 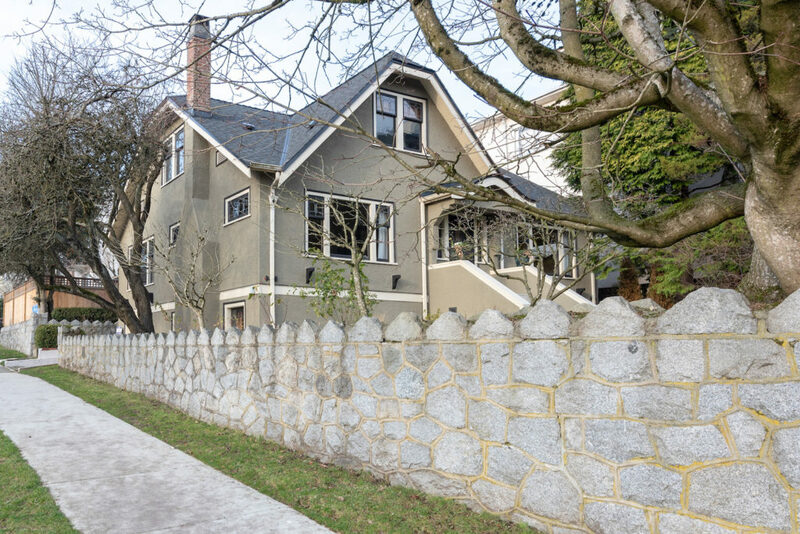 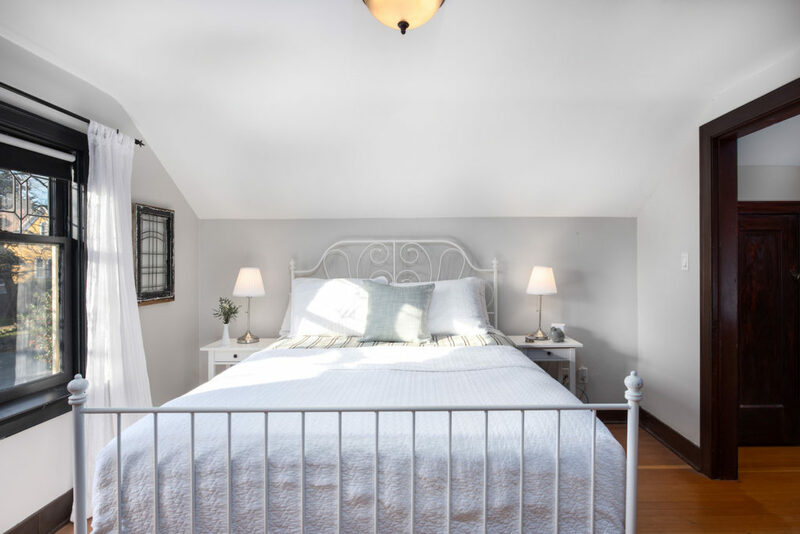 Nestled on 50- by 120-foot corner lot on Queens Avenue, this classic 1937 character home boasts more than 3,000 square feet of family-friendly living space on three floors. 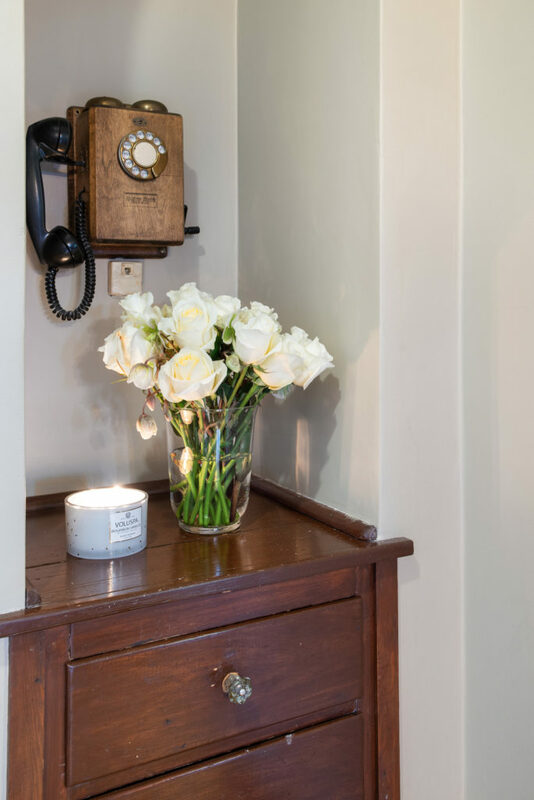 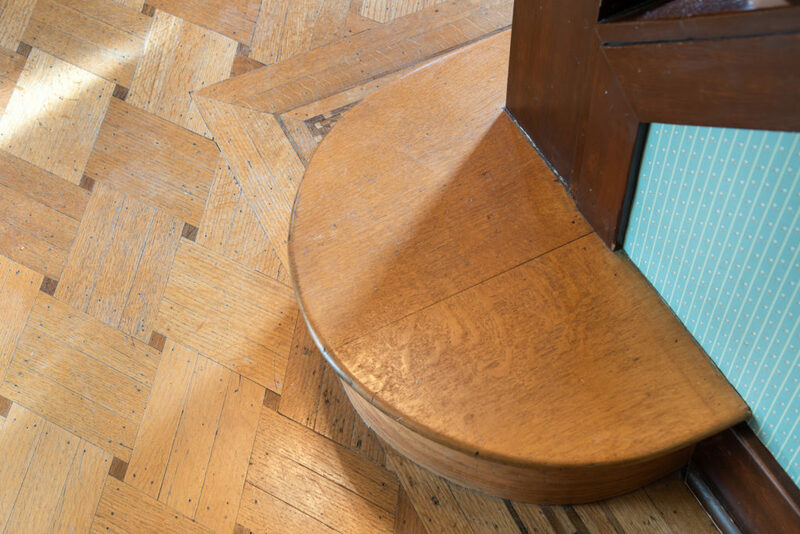 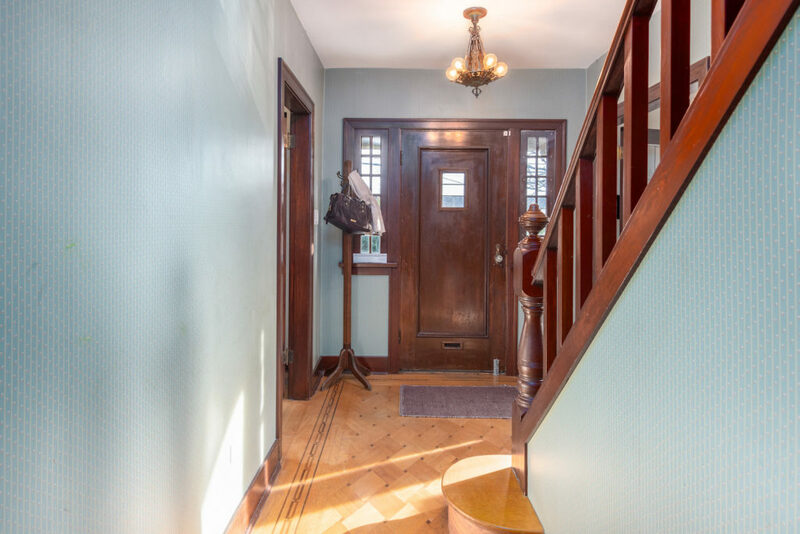 On the main, the foyer with its beautiful oak inlaid floors opens on to roomy, light-filled cross-hall living spaces. 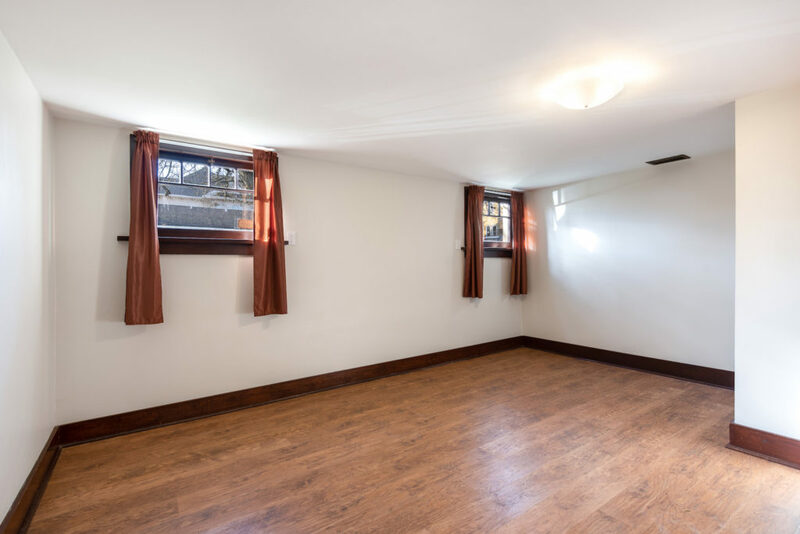 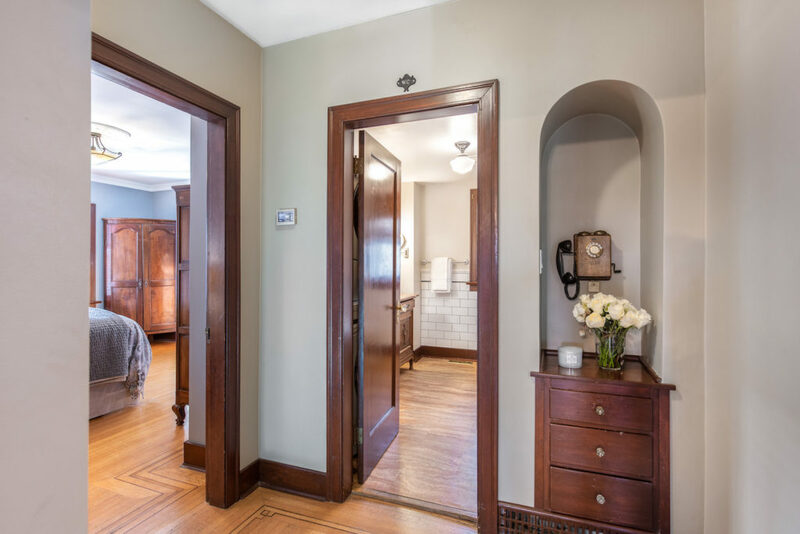 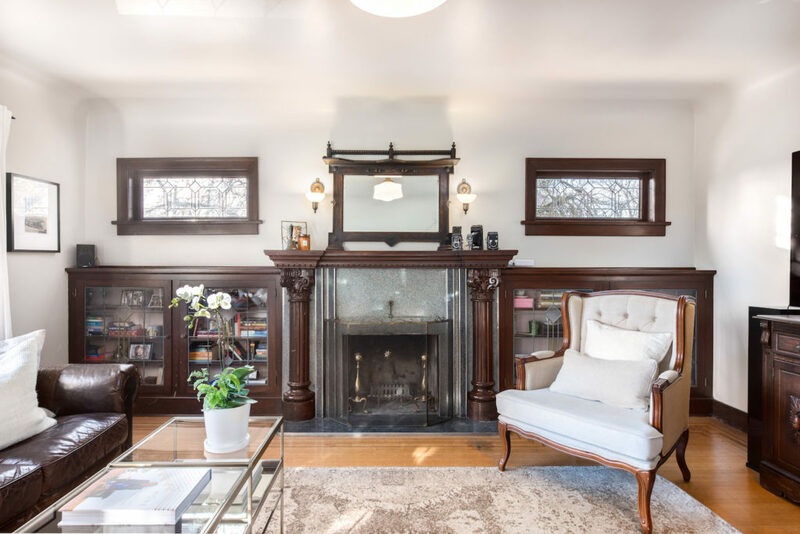 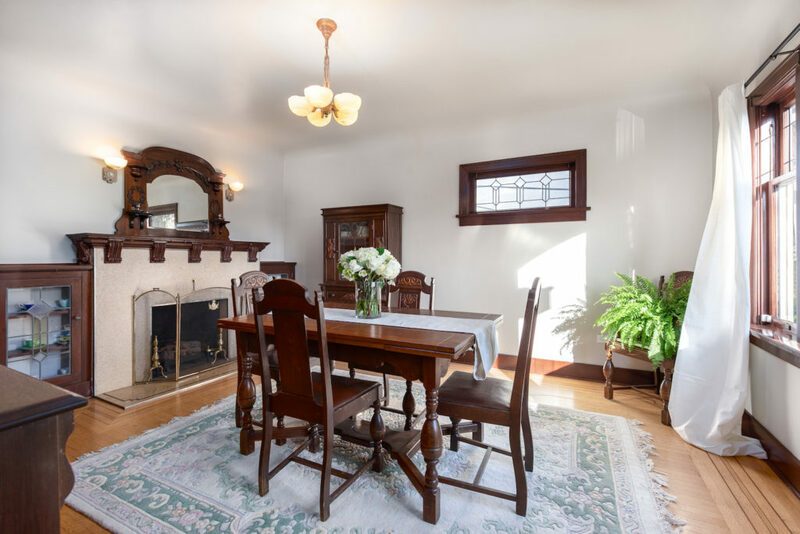 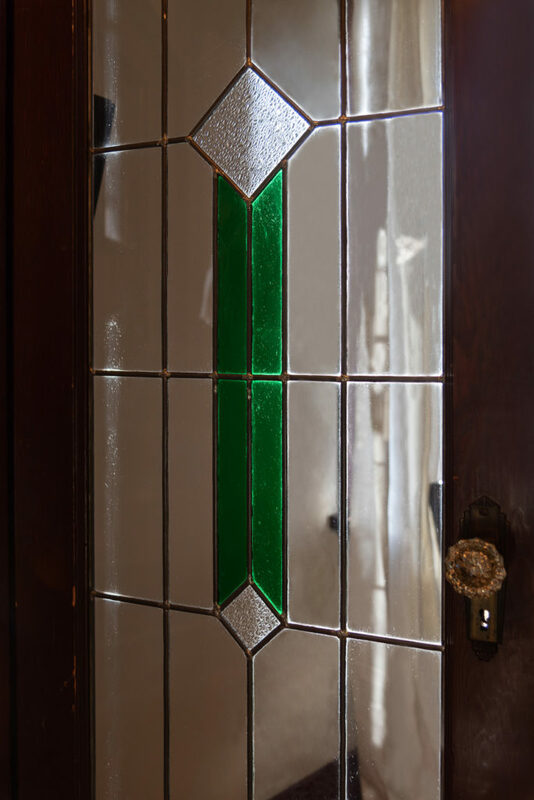 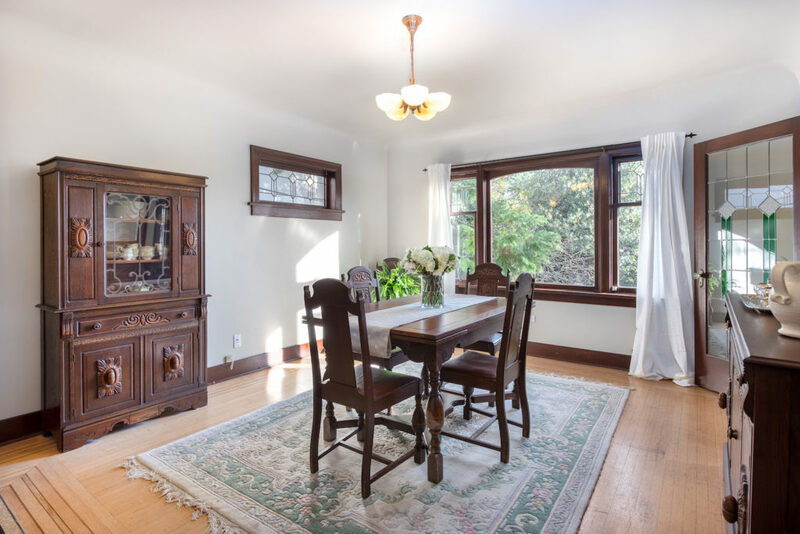 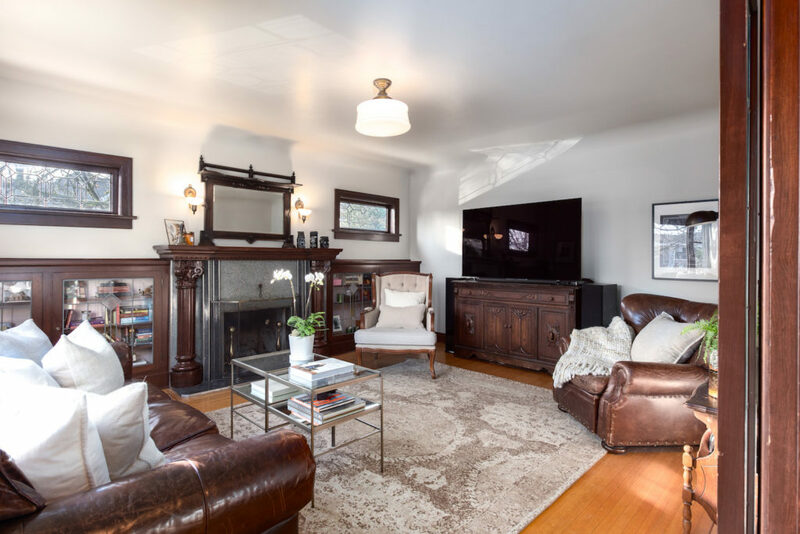 To the left, double leaded glass doors lead to a spacious living room perfect for entertaining and complete with a cosy wood-burning fireplace, period fixtures and built-ins. 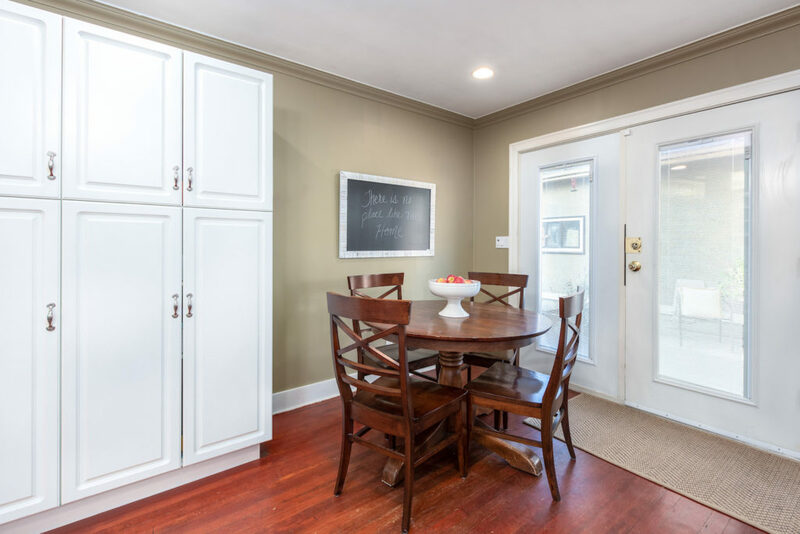 Across the hall you’ll find a formal dining with a gas fireplace that leads to a huge family kitchen equipped with stainless steel appliances, gas cooktop, eating area and French doors that step out to a lovely private outdoor patio and fenced back yard. 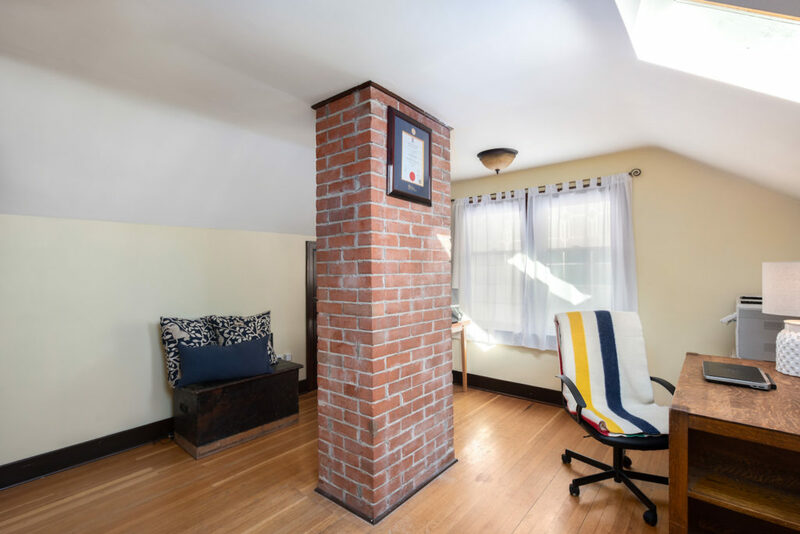 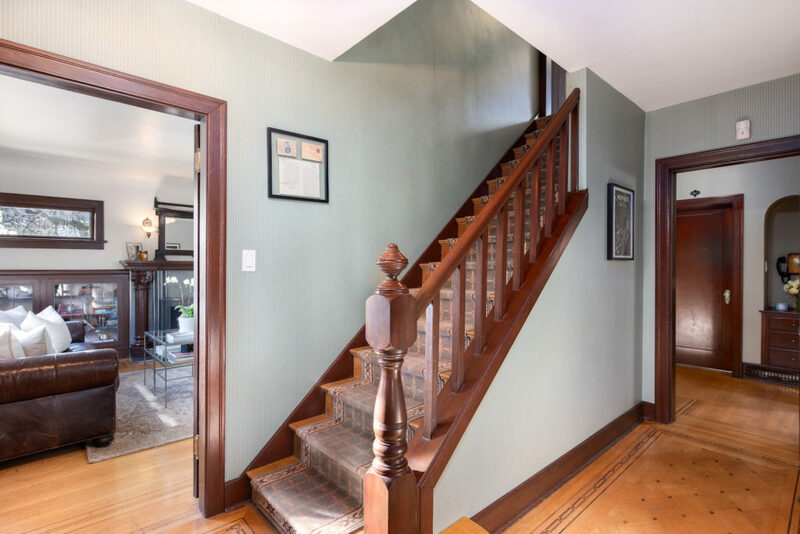 This meticulously maintained character home offers four bedrooms, with one of the main floor and three on the second floor. 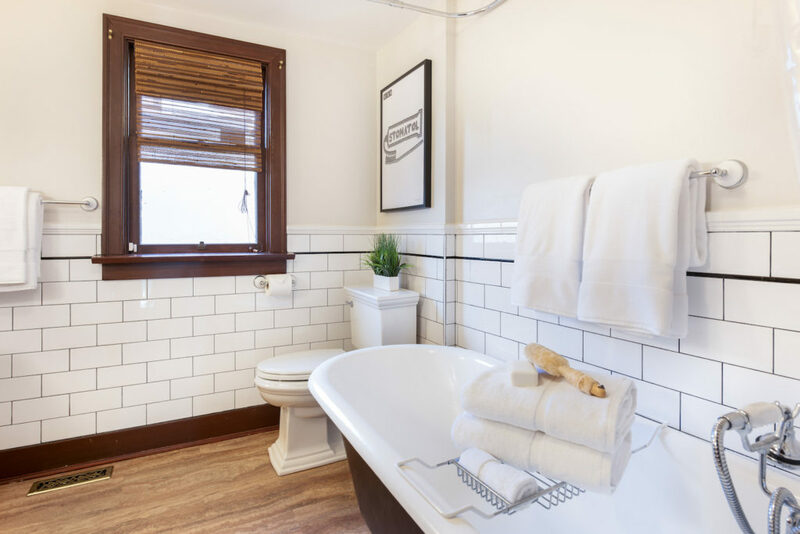 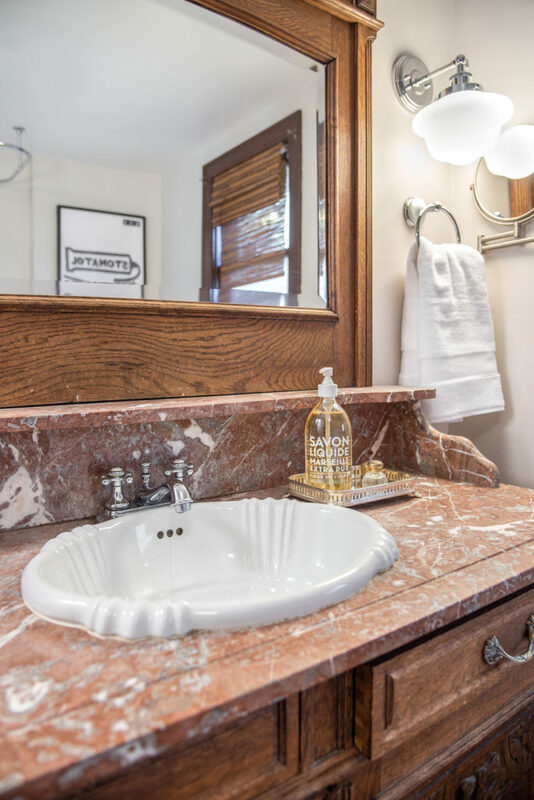 The main floor bath boasts a clawfoot soaker tub and antique vanity with marble top. 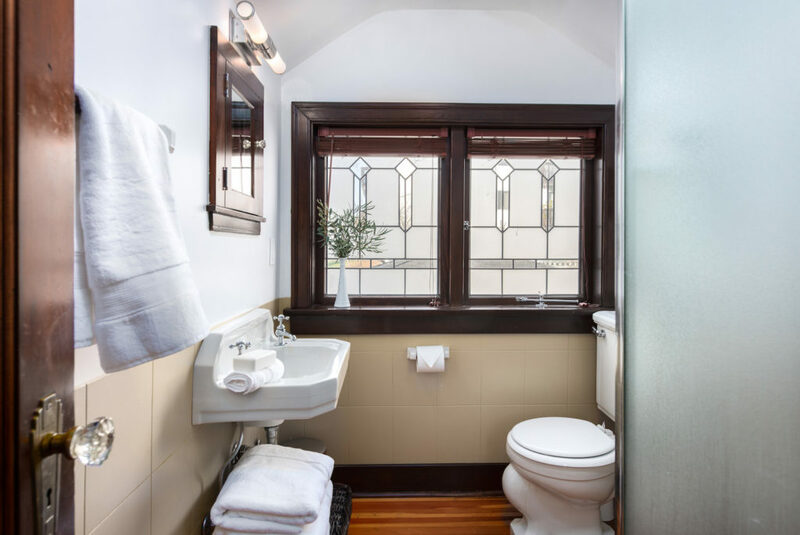 Upstairs you’ll find a second three-piece bath. 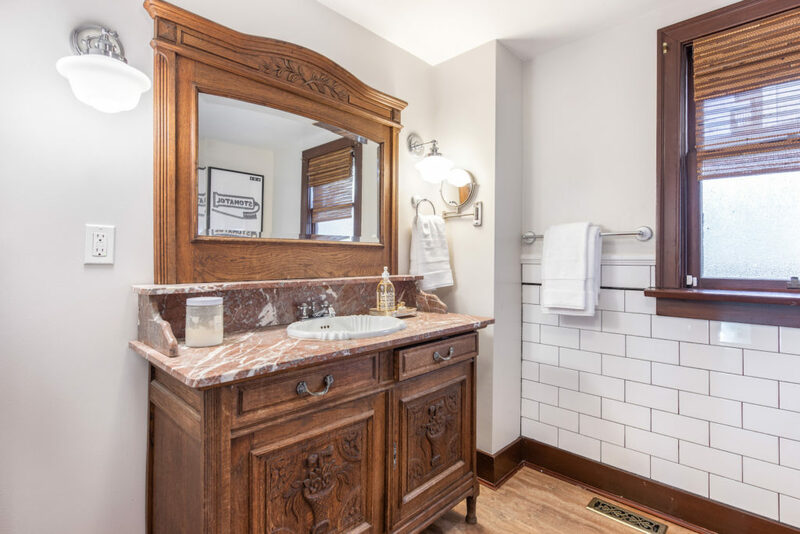 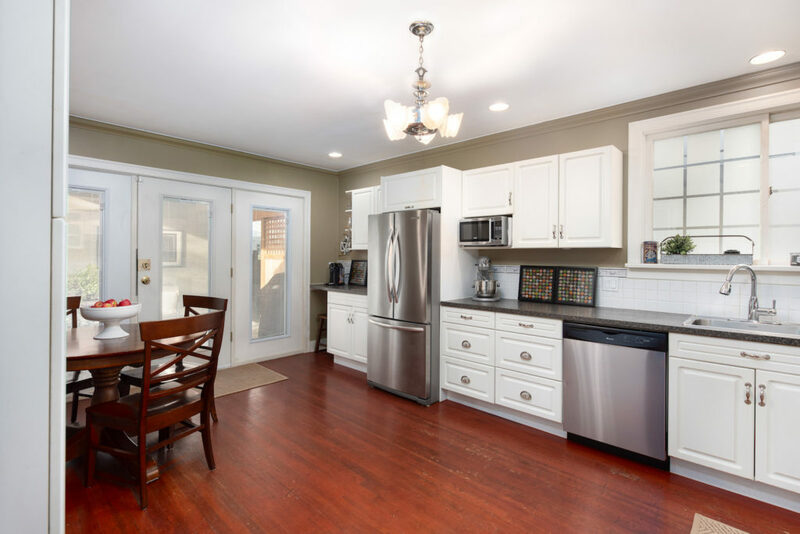 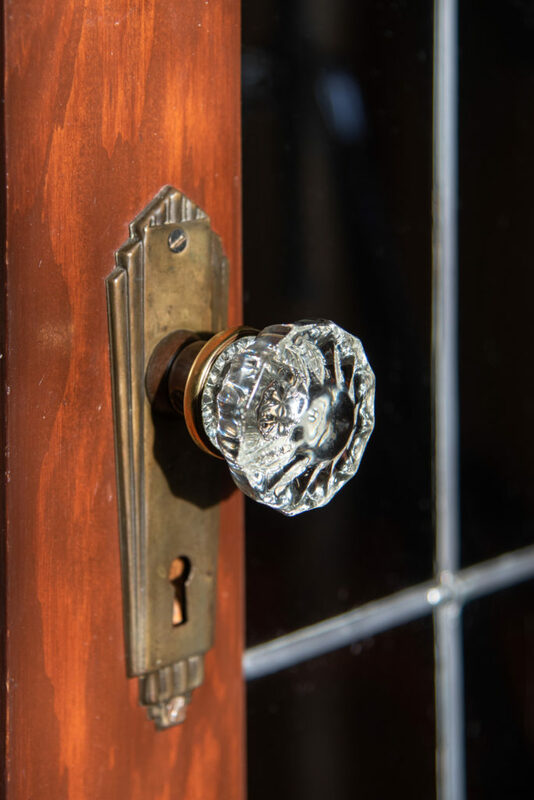 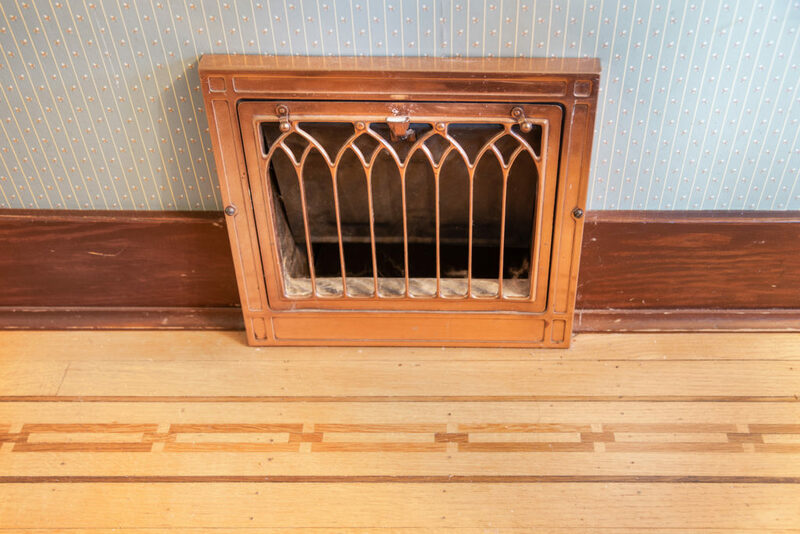 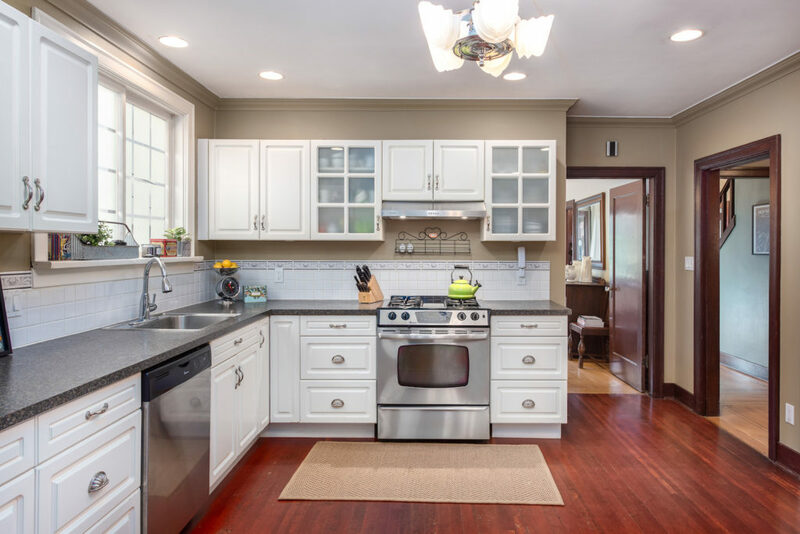 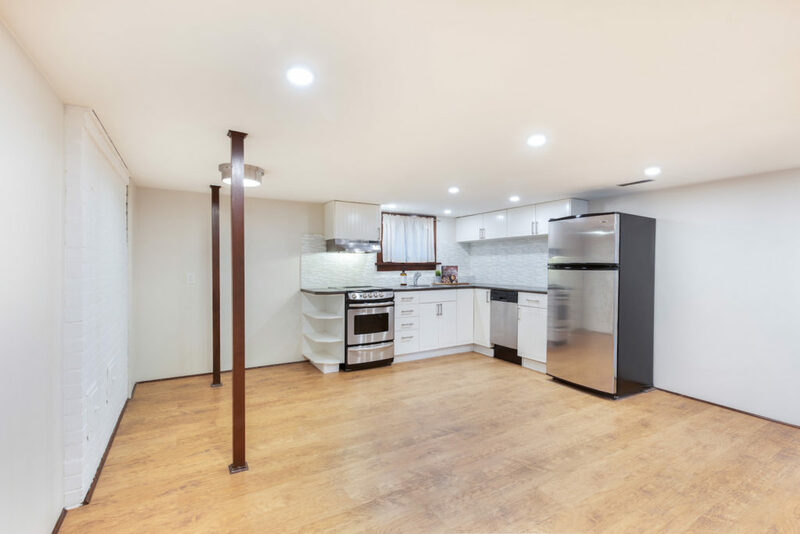 Beyond the impressive original detail throughout, this home has a host of upgrades including a new roof, new furnace, new insulation, updated electrical and plumbing, new outdoor patio, cedar fencing and landscaping. 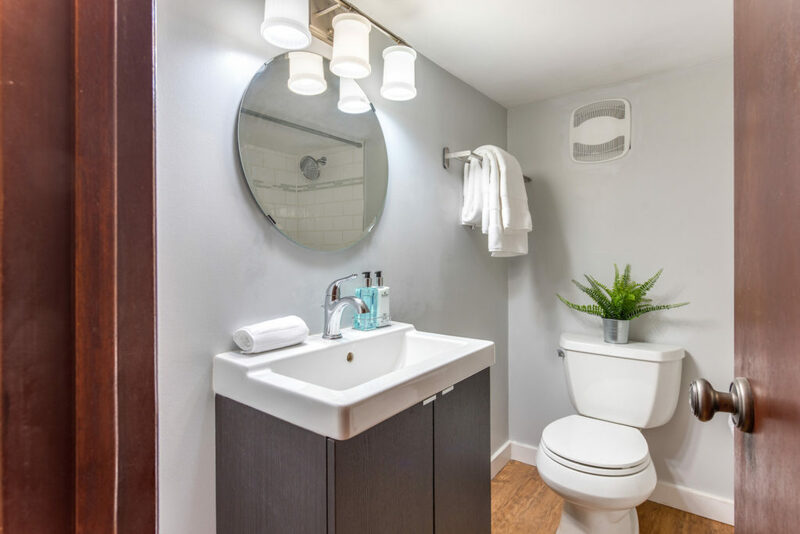 If you’re looking for a mortgage helper, you’ll love the one-bedroom suite with separate entrance, new kitchen and bath. 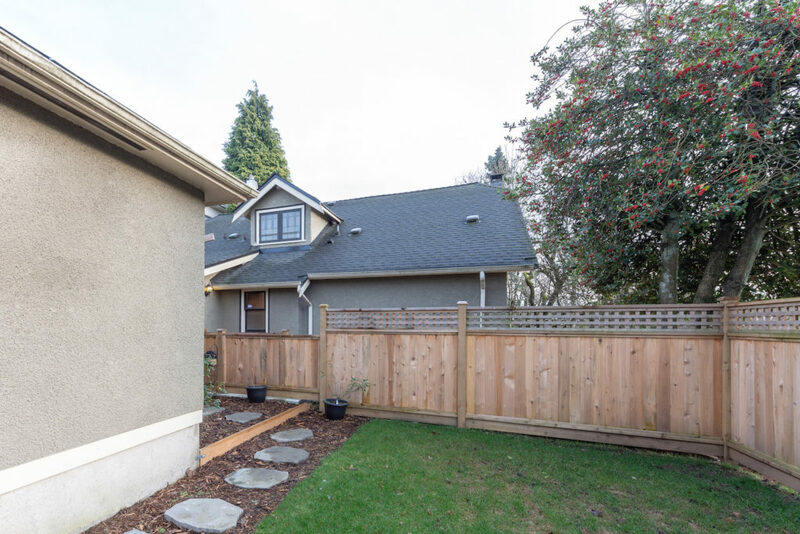 This home also features a detached 600 sq. 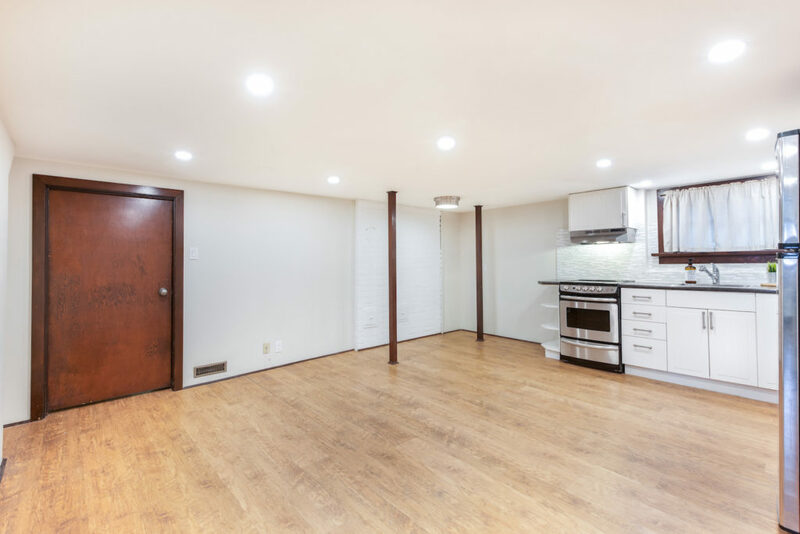 ft two-car garage. 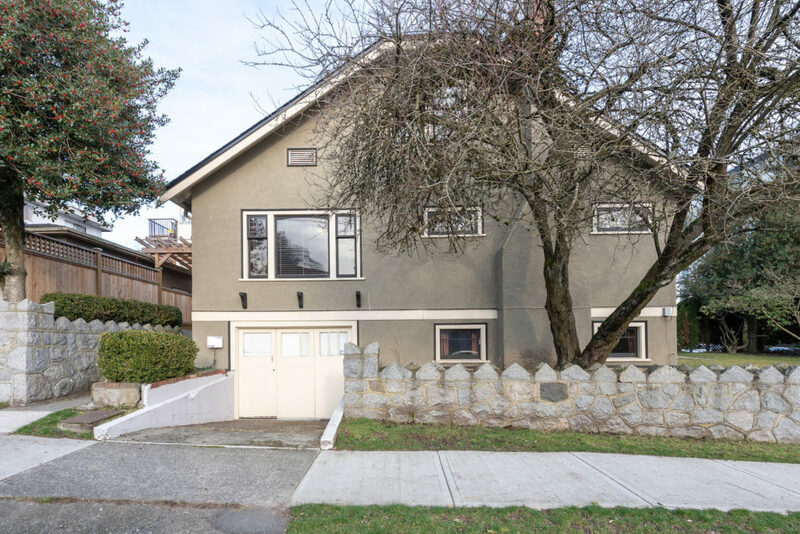 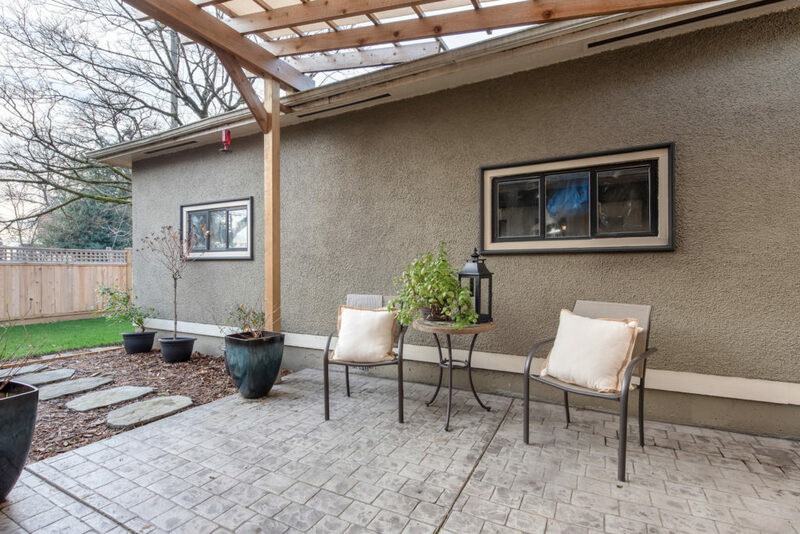 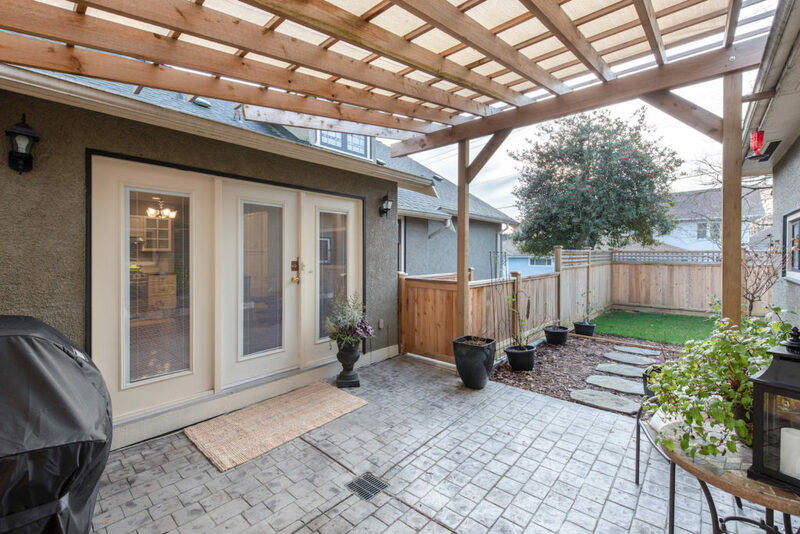 Centrally located in one of Metro Vancouver’s most commuter-friendly cities, this turn-key home is within walking distance of schools, shops, restaurants, amenities and the parks.